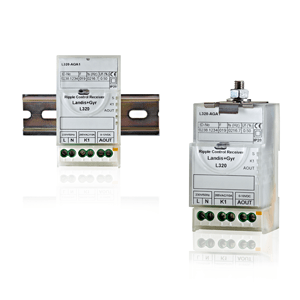 Landis+Gyr L320 is a versatile ripple control receiver in a compact housing with multiple mounting options. It is the optimal solution for all ripple control applications with little mounting space such as street lighting. The functionality of L320 is based on Landis+Gyr most advanced load management receiver FTU2. This offers a large set of features, delivers real time load control and event-triggered direct commands. The L320 can be equipped with 2x2A relays for signal voltage levels, 2x10A relays, 1x10A relay with 0-10V analogue output for diming applications or 1×40 A relay for switching high current. The L320 is suitable for DIN-Rail, wall mounting and mounting using a holding clamp.